Aevee Bee is a teacher, writer and game designer. Aevee Bee has been a freelance games critic since 2008, and her writing has been featured in Paste, Gamasutra, Kotaku, Waypoint, and many others, and she has given talks on project management, game criticism, and narrative design at PAX, Indiecade, and GDC. Her game design debut was as writer, director, and co-creator of We Know The Devil (2015), a queer coming of age horror story with innovative choice mechanics revolving around teen inclusion and exclusion. Heaven Will Be Mine, a spiritual successor about adult women falling in love with each other across enemy lines in a dying science-fiction dream inspired by 90s giant robot anime, is expected to release mid-2018. Aevee Bee is also the founder of ZEAL, an online, crowd-funded publication that publishes writing and comics about video games, the internet, and pop culture with avant-garde angles from diverse emerging talent in games, comics, and beyond. Aevee has a BA in English from Oberlin, and an MFA in Nonfiction creative writing from Eastern Washington University. She is currently the advisor of a small liberal arts college's student paper. You can see a selection of her notable work and her contact info below. 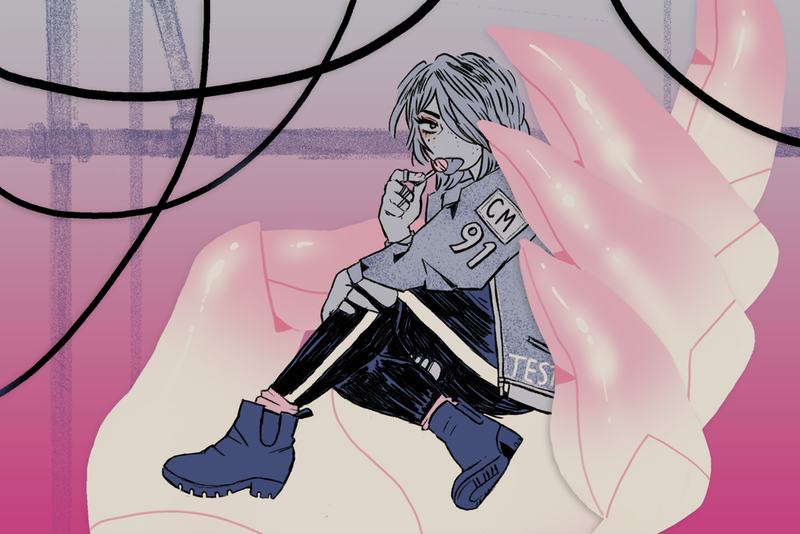 ZEAL is a crowfunded online publication of beautiful new comics and criticism from diverse writers and artists about games, the internet, and pop culture founded by Aevee Bee in November 2013. We've published political and critical analysis, autobiographical comics, and personal essays of queer and trans childhood experiences. We rely on donations to pay writers, artists and editors; if you're interested in donating, you can sign up for our Patreon! We Know The Devil is a visual novel, which is sort of like a digital comic mixed with a choose-your-own-adventure story. The choices in this game revolve around which of the three protagonists will spend time together and get to know each other better, and who the devil will come for when one is eventually left out. A narrative game with a simple but unique reframing of choice to depict the ways that young people hurt each other will struggling to connect. Heaven Will Be Mine is a spiritual follow-up to We Know The Devil about the messy relationships between adult women, about the ending of science fiction dreams, living for the future when every future seems doomed, and being gay in space. Influenced by queer science fiction and vintage giant robot anime, the game can be played from the point of view of any of the three main characters, whose choices determine the future of humanity's role in space. An essay on the writing and directing of We Know The Devil, intended to help burgeoning designers with understanding and planning development, from keeping scope constrained and keeping to deadlines to how creative constraints can and should guide the craft and form of writing, art, and design. For first projects with small teams, this can be a helpful guide for understanding how to turn an idea for a video game into an actionable plan to make one! I've written a lot over the years! Reviews, criticism, and personal essay for Gamasutra, Paste, Kotaku, and Waypoint, among others. Some of my favorites are here. The Story Is A Spell—On "representation" and why it is important that marginalized peoples are able to tell their own stories in their own words, and the problems of appropriating the struggles of others. On Fandoms—Understanding the nature of fan communities and ways that online communities have made harassment of artists a massive and unresolved issue. Bloodborne: The Authentic European Hellscape Vacation— For GIA, on architecture and exploration. Your Guide To EVO 2014—For Kotaku, on how to enjoy competitive video games as a spectator. A live talk that was reworked into How To Write A Visual Novel In A Month, as part of the GDC micro-postmortem series. Writing exercises and short fiction. I think of these as the writing equivalent of an artist's sketchbook; pretty but not fully formed, linear, or finished. Some of the ideas in these stories were reworked into We Know The Devil, and other projects.